Our warmest congratulations to MNCEA on their 20th anniversary! 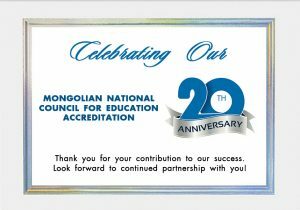 Herewith we would like to extend our warmest congratulations to MNCEA on your 20th anniversary! It’s truly a wonderful milestone to celebrate for the MNCEA’s management and staff. forward to further cooperation with MNCEA and we wish you all the best in celebrating many more years of success!